The US government bought the land that makes up Alaska from the Russians in 1867. This area was not even a territory until 1912 and it finally became a state in 1959. Out of the 50 US states, Alaska is the largest, being twice the size of Texas, but it has the least amount of people living there with a population measured at 738,432 in the census conducted in 2015. The most populous city is Anchorage which is home to 278,700 people. The economy of Alaska is mainly sustained by fishing and the exploitation of large swathes of natural gas and oil supplies. There are also some military bases and quite a lot of tourism due to the spectacular wild and natural scenery in the vast wilderness of the interior. At least 80% of the Alaskan revenue comes from the oil and gas industry which makes up the bulk of exports. Statistics clearly show that much of the employment in the state depends heavily on this natural resource extraction. Other jobs for Alaskans are in government offices, shipping and the military bases are also an important part in the financial system. Two of the economic sectors that are growing rapidly are tourism and services. Alaska has low taxes but a higher cost of living than most of the other states. In rural Alaska, prices for consumer goods and food are even higher than in cities like Anchorage, Fairbanks or Juneau. This is due to the limited infrastructure which makes transportation of goods very difficult. In fact, some of the towns, cities and villages can only be accessed by air travel, by river or by the sea. The state of Alaska also has a problem with retaining young citizens who often graduate and then leave to live and work in other parts of the US. However, the median age for people in Alaska is 33 for both females and males. This is due to the lower life expectancy which is rated 34th out of the 50 states. So, currently Alaska does not have the problem of an ageing population but it does have a decrease in the amount of people living there. Now let’s look at some statistics for payday loans in Alaska. Figures published in 2013 show that there were a total of 29 licensed lenders for payday loans. In that year 17,968 Alaskans used this kind of short term borrowing and the average loan taken on was $412.16. The majority of borrowers were in the Anchorage and Eagle River areas. Online loans made up 32.76% of the total amount of agreements. From 2014 to 2015 there was a decrease in borrowing although the majority of the loans were in the same geographical locations. In addition, the amount of the online market share also increased to 45.04%. The body which oversees the payday loans industry in the state is the Alaska Division of Banking And Securities. All information about this kind of loan and all complaints are dealt with by this office. In Alaska, payday loans are issued by stores, check cashers, pawnshops and you can also get a short term loan online. In Alaska you can only borrow up to a maximum of $500 and the minimum term is 14 days. The highest rate that can be charged is 15% flat per $100 and lenders may charge a one off $5 origination fee (set up fee). The APR is 520% for a 14 day loan. There is no specified amount for loans allowable in Alaska. This lack of regulation for debt limits means that some customers take on multiple loans which can cause severe financial hardship. You are allowed to rollover a loan twice. Repayment plans must be put in place for anyone who is struggling to repay the sums borrowed. The lack of regulation for debt limits in Alaska means that some customers are prone to take on multiple loans. Some lenders offer no credit check loans as well as one hour loans and many provide low interest loans. The lack of stricter regulations does allow some leeway so that the market adapts to customer demands and statistics show that many low interest payday loans in Alaska are paid off faster than in other states. Lenders may not take non payers to court and can only charge a maximum of $30 if there are not sufficient funds in an account to claim the payment. The easy access to payday loans has made this form of borrowing a popular choice for Alaskans. Additionally, the increase in online lenders has also made it a much simpler way to borrow. The law in Alaska allows lenders to charge an interest rate that is 5% higher than the Federal Reserve District Rate. There are also lenders who insist that applicants borrow a higher sum than they need and if the applicant refuses then the loan is turned down. Research has shown that some lenders are allowing customers to borrow a higher sum than the legal $500 and then also hike up the interest rate. Using a loophole that allows small loan providers to operate like this, these illegal lenders are flouting the laws that regulate payday loans. Who takes out the loans? Figures for 2015-2016 show that 5.6% of the population took out a payday loan. And, unlike most other states, there were more male applicants than female. This may be explained by the fact that there are simply more men than women living in the state. Applicants for payday loans aged 18-24 took out 10% of the market share. The highest amount of loans was taken out by consumers aged 25-29 and this was 17%. Customers over the age of 55 took out 16% of the total loans. 11% of loans were used by those aged 30-34 and customers aged 35 to 39 took 13% of the market. The age group 40-44 used 12% of loans and the group aged 45-49 took 10%. Finally, those aged 50-54 comprised 11% of the loans granted. These figures are fairly evenly matched with other states where the majority of loans were taken out by those in the 25-29 age group. Applicants who owned their own homes took out 46% of loans compared to those who rented a home who took out 54% of the share. The majority of loan applicants were in full time employment with 39% of the market share of loans. 17% worked part time, 16% were unemployed and 7% were disabled. Students, homemakers and the retired make up the remaining 21%. Payday loan lenders in Alaska are also called deferred deposit advance lenders. The regulator publishes an online list of licensed lenders which you can access to make sure that the loan offer you get is from a legal lender. 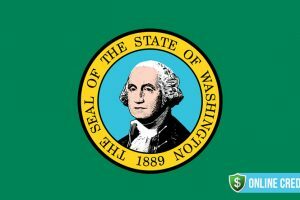 Lenders who reside out of the state can issue loans in Alaska as long as they have the required license. All the laws relating to payday loans are in the Alaska Statutes 06.50.400-06.50.560. This shows that loans must have an advance agreement, the maximum amount allowable, limits of rollover terms and what fees can be charged. The laws are very extensive and each lender must obtain a license. Licenses last for one or two years and expire in December. If a lender has more than one set of premises or has a storefront business and a website, a separate license is required for each branch of their business. There is a one day cooling off period so if you change your mind before close of business on the next day you can cancel the agreement. One of the most frequent problems encountered with payday loans is that the lender does not ensure that an applicant can actually afford to make the repayment. 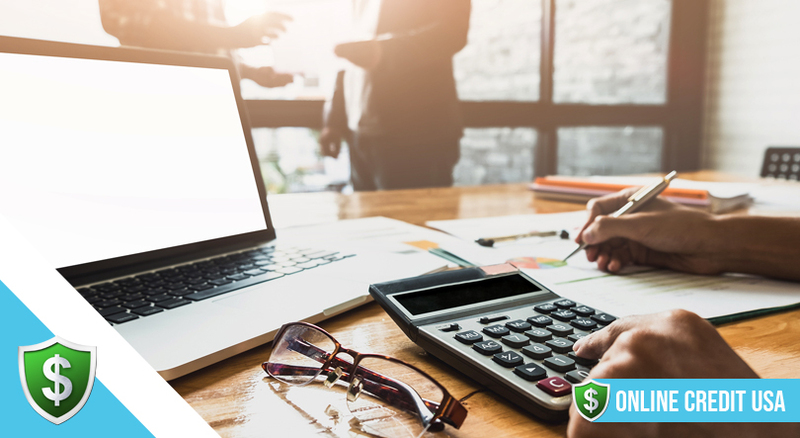 Although you may feel desperate enough to accept the high interest rate, if you do not make repayments on time, the amount of interest charged can be very high. This can soon lead to a spiral of debt which can be difficult to pay off. 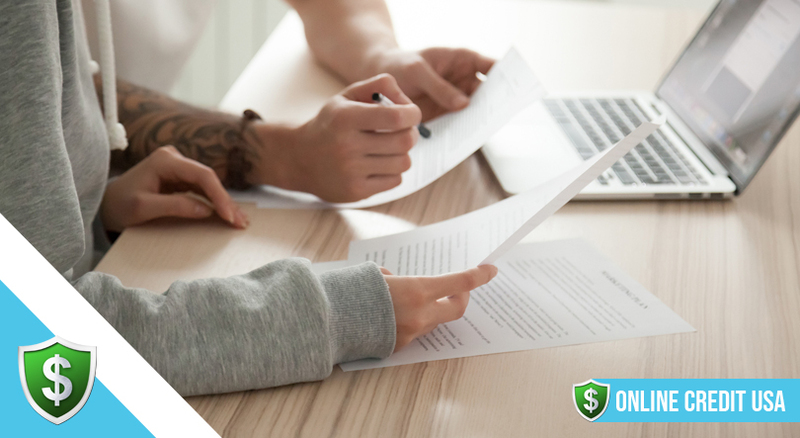 Lenders offering one hour loans and loans with no credit checks should be avoided so do some research before applying to the first and most heavily advertised lender. All lenders should ensure that applicants are employed or have a regular source of income. In order to protect yourself, never engage with an illegal lender. 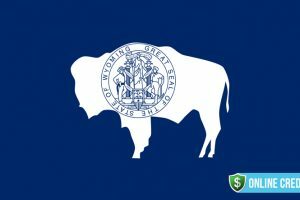 If you are offered a loan that does not comply with the state laws, you can report the lender to the regulator at the State of Alaska Division of Banking And Securities. Borrowers are entitled to know the total cost of a payday loan and this must include are interest rates and fees. Rates must be advertised with the APR. The term of the loan must also be included in the agreement which must be signed by both parties. Borrowers are entitled to know the total cost of a payday loan and this must include are interest rates and fees. 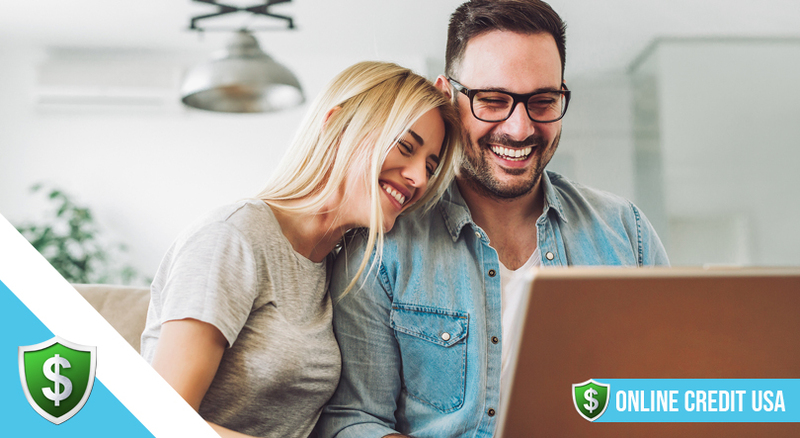 Payday loans can be an expensive way to borrow and while they are right for some people it is important to fully understand that you are committing part of your next months salary to pay off the loan. There are several credit unions in Alaska and using a community based organization may be a better option. The interest will be lower and although you need to have some small savings with the union you can be sure that all accounts are fully insured and that the rates charged will not be extortionate. Credit unions are non profit making services and any set up fee charged will be much lower than those applied by payday lenders. Although it may appear to be reckless to suggest using a credit card, in the short term, borrowing on a card could prove to be cheaper than using a payday loan. This could apply if you only need the cash for a few days. As a payday loan has a minimum term of 14 days it could prove a more costly method of borrowing. Compare the APR and work out which is the best option before signing up to an unbreakable loan contract. Instead of borrowing more money to pay off existing debts you can approach your current lender to see if a more flexible repayment plan can be worked out. 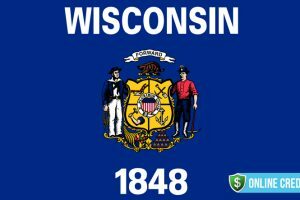 Credit counselors operate in every state so take some free advice before getting deeper into debt. There are temporary assistance programs in Alaska where you can get help if your financial problems are getting out of control. The Alaska Temporary Assistance Program, the Heating Assistance Program and the Food Stamp Program can all give some aid. 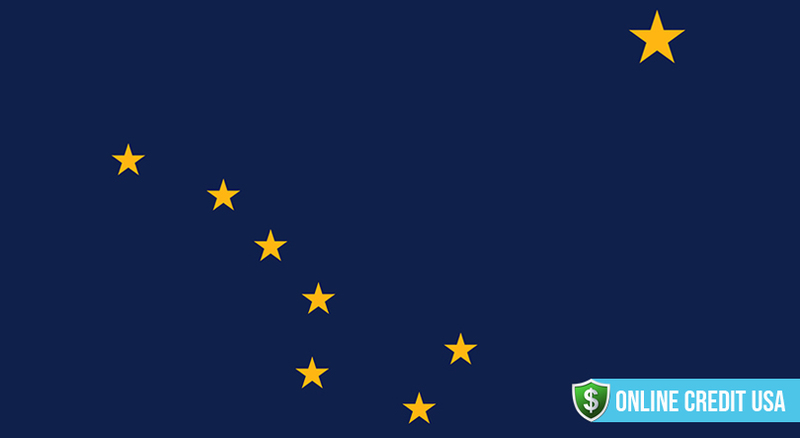 Taking out a payday loan is very simple in the state of Alaska. There are plenty of lenders both with storefront access and online. The maximum loan allowed is $500 and the minimum term is 14 days. There is no maximum length of time for a loan. Lenders cannot charge more than $15 per $100 borrowed and no more than $5 as an origination fee. Collection fees are limited to $30 if a payment bounces and borrowers cannot rollover a loan more than twice. A borrower must be in full time employment or have a regular source of income. Understanding these simple rules will allow you to choose the best option for a payday loan and if you want more detailed information you can contact the regulator on (907) 269-4584 or look on this website.